It must have been around 1994 when I bought this watercolour of Belmont Street, Aberdeen for Sian’s birthday. It is by Jimmy Furneaux, an Aberdeen artist and teacher who made the Granite City his muse. This watercolour hangs at the top of our stair. I recall that I had a difficult choice when I bought this painting. You see there was also a John Bellany pencil sketch for sale. 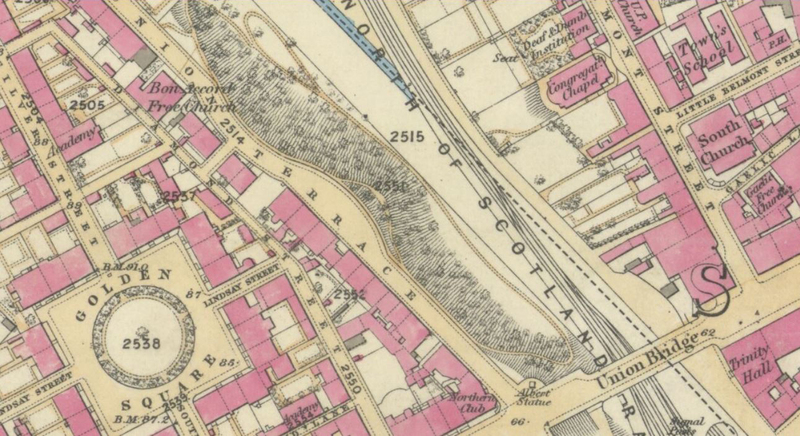 However, even though the Bellany might have been a better “investment” I preferred the Furneaux as he seemed to convey some of what I understood and felt of the St Nicholas area of Aberdeen. James Souttar provided the designs while he was working in Stockholm and is perhaps his earliest extant building. The apse is based on the one at Lund Cathedral. William Leslie, an Aberdeen builder and granite merchant (and member of the congregation), is credited with the execution of the former Belmont Congregational Church. This striking building with its intricately detailed Romanesque apse is designed to be viewed from a distance, particularly from Union Terrace and the Rosemount and Union Street viaducts. The tall tourelles at each corner of the building are over-scaled to give it even greater landmark presence, providing a valuable contribution to Belmont Street and the wider Aberdeen skyline. The Italian Romanesque style is unusual for Aberdeen. 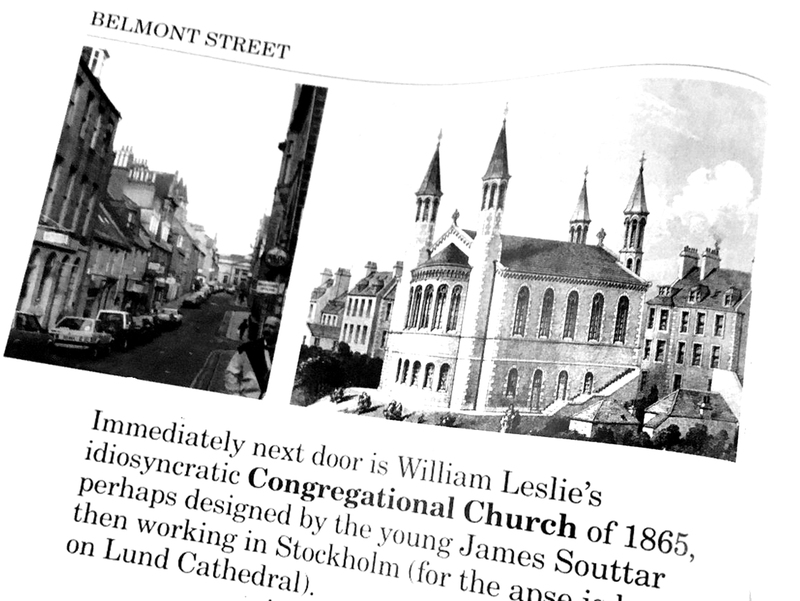 The Belmont street church was was the last Congregational Chapel in Aberdeen. The final service was held in 1995. It was at this time scheduled as a ‘Building at Risk’, however an Aberdeen bar and nightclub operators, The Epic Group bought the building. 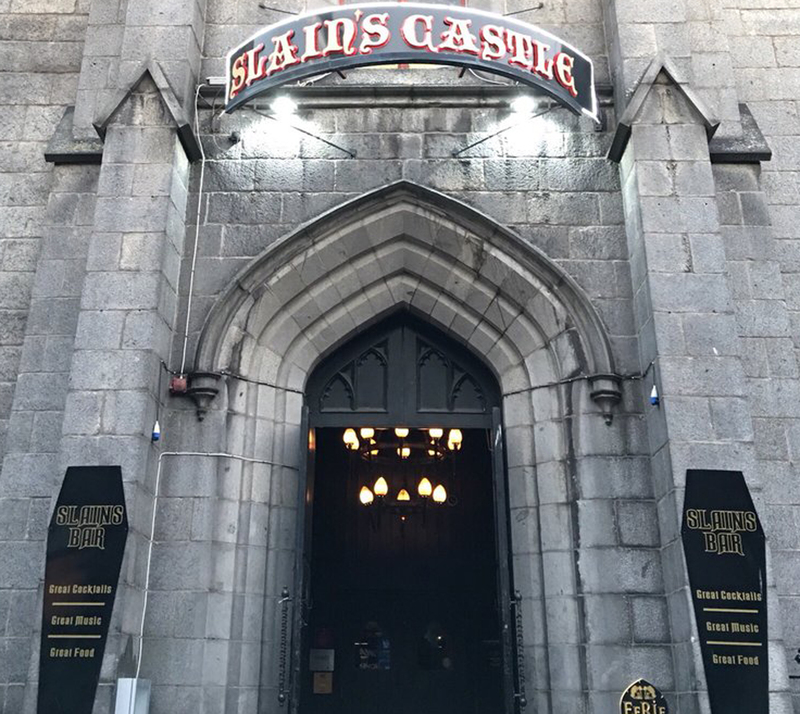 It then became the nightclub called “The Priory” and it is now a Dracula themed themed bar called “Slains Castle”.